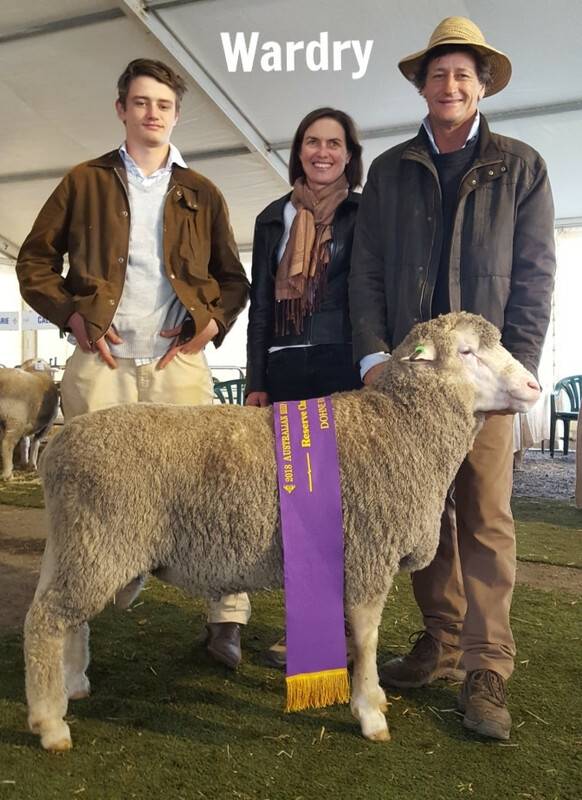 Peter, Robyn and John Nadin with Reserve Champion MD162966. 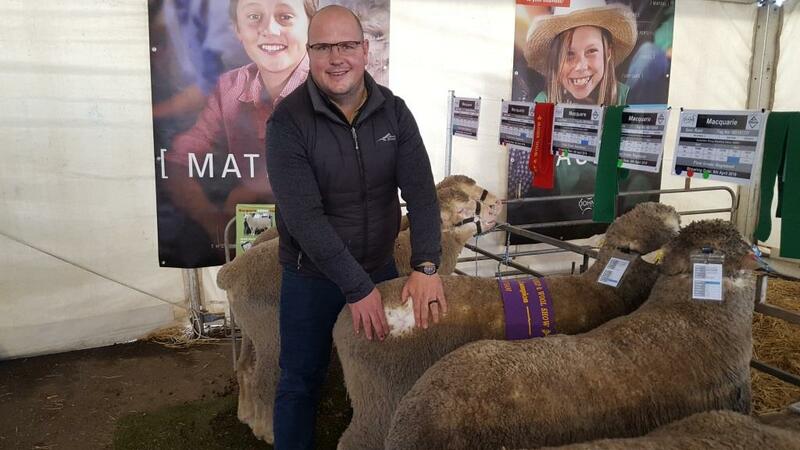 Dries Pienaar, White Wools Dohne Merino Stud in South Africa, attended this years ASWS and was also a guest speaker during the Grand and Reserve Champion awards on the Saturday. 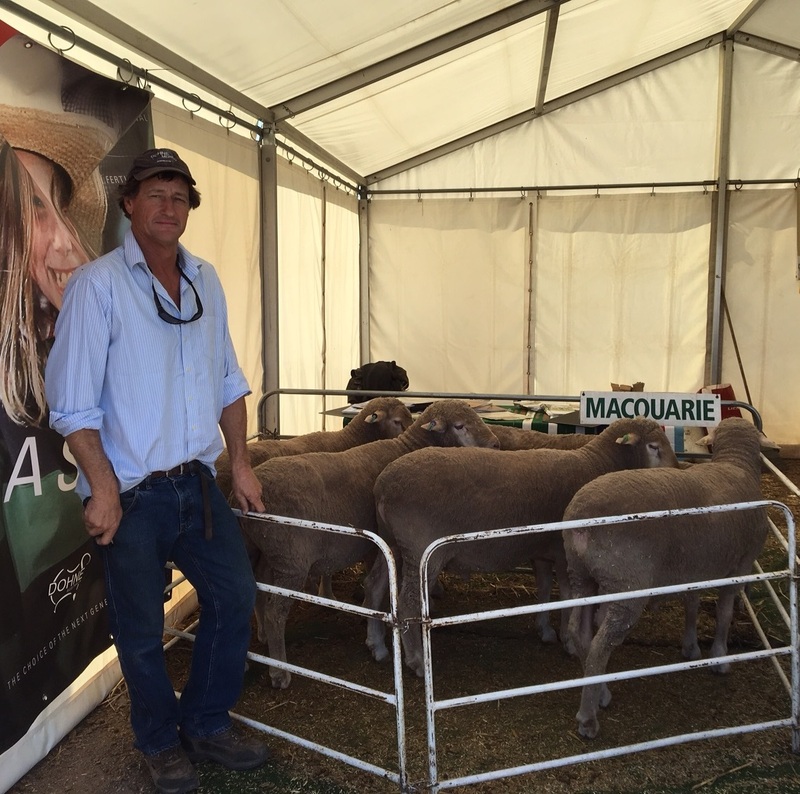 Dries Pienaar with Reserve Champion MD162966. Our sympathy is extended to all those in drought affected areas and in particular those clients in the north and western parts of New South Wales and Queensland who’ve had only one decent season out of the last 6. We realise the hardship faced by clients and the value of sheep and in particular young fit rams in an enterprise. 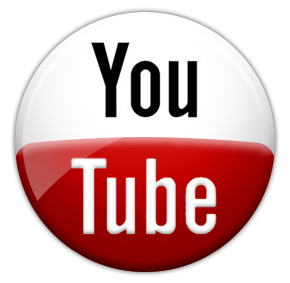 Macquarie is and has always been willing to help clients where necessary. James Koster has classed our young rams and will catalogue the auction rams on Monday September 17. A list of the auction rams will be emailed to all clients prior to the sale. Despite the dry conditions that these young rams were born into and still are , subjectively we are happy with their make and shape and in particular the quality wools. This mirrors the objective performance of the Macquarie sheep as we have the top three 2017 drop Indexed rams nationally. We were planning to increase auction numbers this year but due to the dry we have decided to offer the same numbers as previous years. 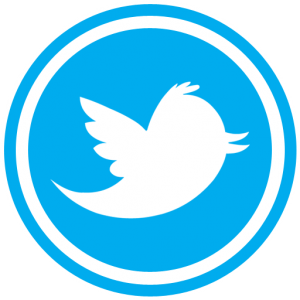 Our aim is and has always been to give clients plenty to select from. 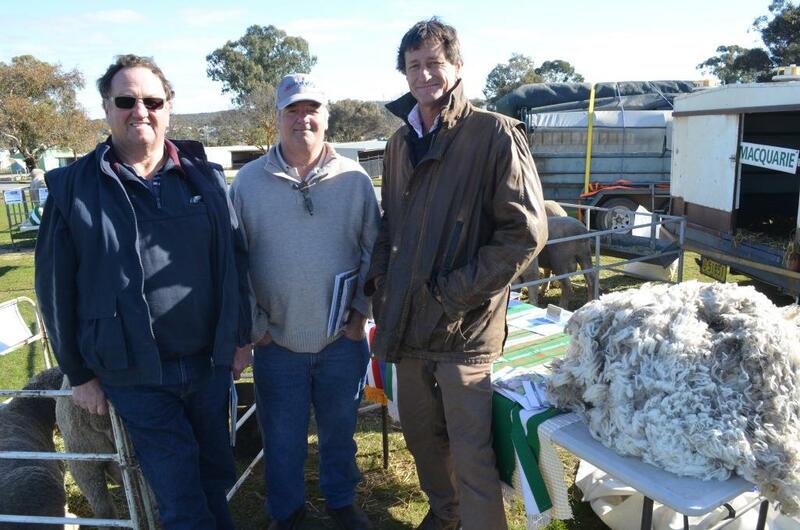 The wool and lamb markets continue to flourish. 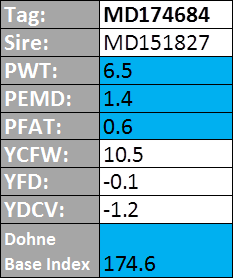 Although wool and lamb are at an all time high , lamb continues to out value wool by approximately 5/1 and mutton 2.5/1. Max and Ian Pilgrim, with John Nadin. 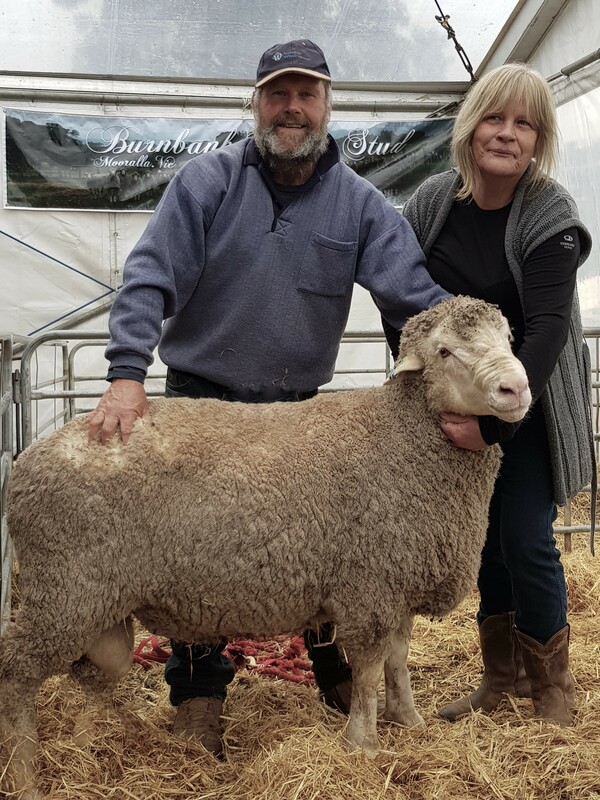 Private Sale at the 2018 Hamilton Sheepvention, purchased by Burnbank Dohne Stud, Mooralla VIC. 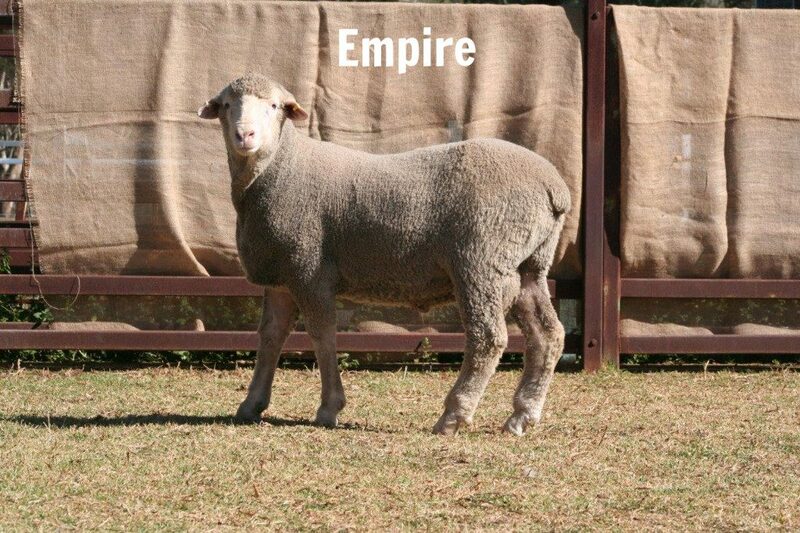 Empire 152054, by impact sire MD137021 (used in 7 Australian studs) out of an Empire Special Stud ewe. 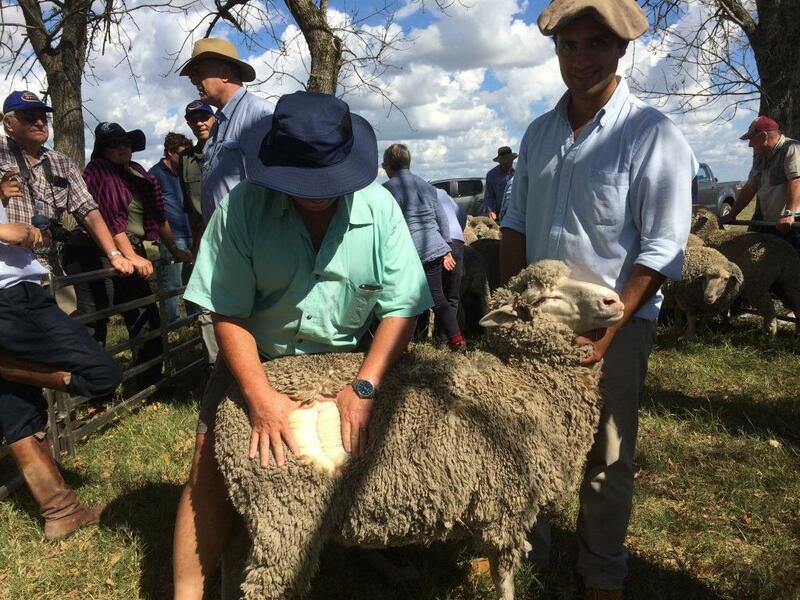 2054 shows all the characteristics of his sire…an extremely deep, wide body and twist, with an exceptional long stapled , deep crimping even 64s quality fleece. Andrew Campbell and Carol Hale, Burnbank Dohne Stud with MD152054. 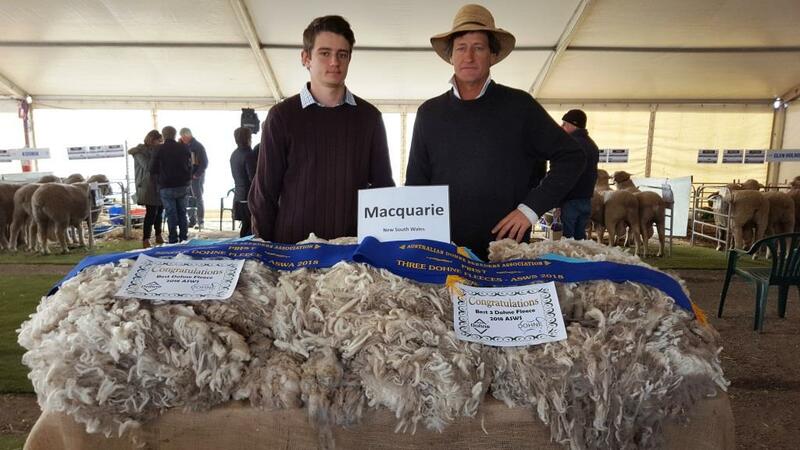 It is a pleasure to inform you that Will Nadin will be joining the Macquarie team as a sheep classer in southern Australia. Besides growing up with Macquarie Dohnes , Will had a year working on a cattle station in the Northern Territory , a year on “Wyvern Station’ Carrathool followed by two years on “Boonoke” Conargo under stud master Forbes Murdoch. Will’s youthful exuberance and ability will be a great asset to the Macquarie team. Biosecurity and health status has always been a priority at Macquarie, a guarantee we provide for our clients. Along with Brucellosis accreditation we have tested 350 ewes for Ovine Johnes disease with a 100% negative result. We are also implementing a fully audited Biosecurity plan for all property’s. As for all sheep veterinary advise, Greg McCann is, as always, available for all clients. Central West Genetics is now open for business. 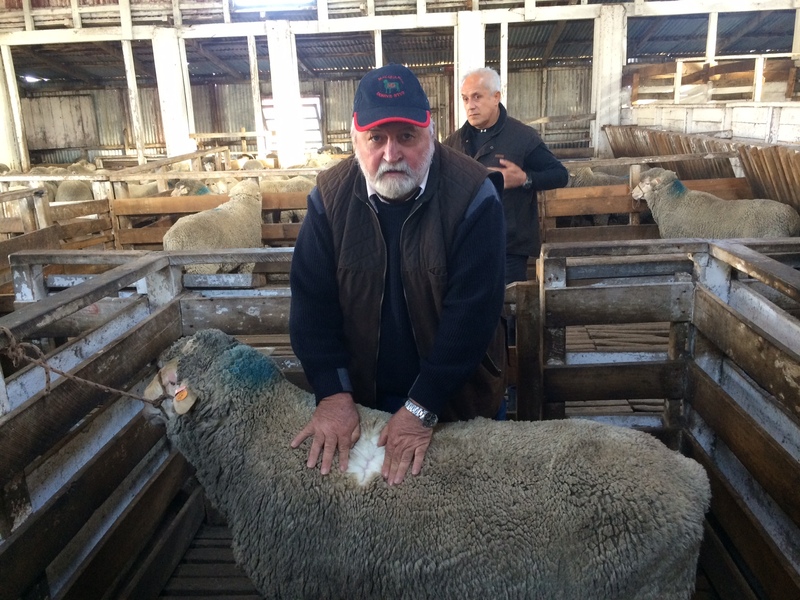 The provision of artificial breeding services by Greg McCann to both Macquarie Dohnes and other breeders has recently been expanded with the construction of new ram facilities for both domestic and export work as well as laboratory and storage facilities. 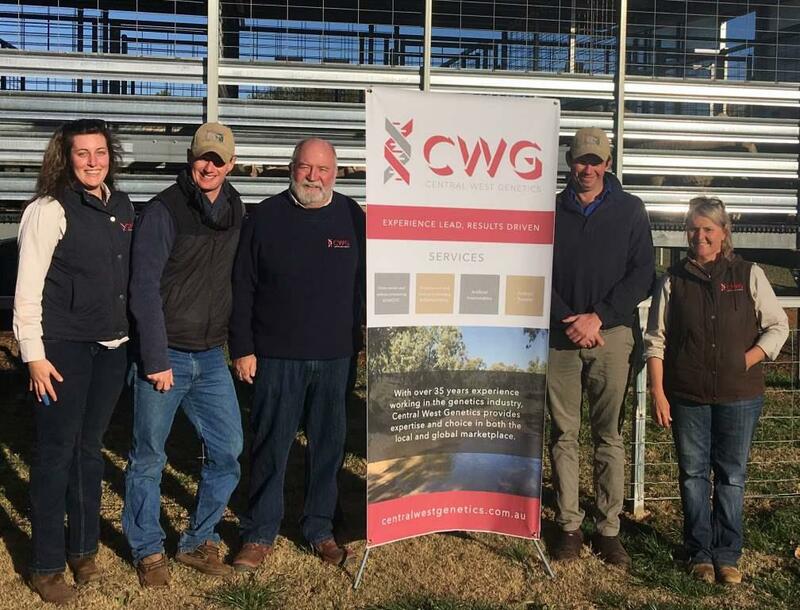 This years’ production sale will be held at the centre and will give clients the opportunity to look over the facility and discuss Macquarie Dohnes plans to accelerate genetic gains with the increased focus we intend to apply to our breeding unit. L to R – AliciaMcConnell , Dr Andrew Robertson (Western River Vets), Dr Greg McCann, Dr Tim Gole (Western River Vets ), Robyn Tozer. In April Greg and John attended the Global Dohne Conference and tour of Uruguay, Argentina, and Chile. From the hot, humid temperate Uruguay of 1200-1500 mm annual rainfall to the bitterly cold and dry southern Patagonia with an average summer temperature of 6.7 degrees Celsius and average winter temperature of 3.1 degrees Celsius along with an average rainfall of 200 mm and low protein native pastures, the Dohnes performed extremely well. Macquarie blood was well represented. Of the 12 studs and research stations visited, 7 are Macquarie based. Progeny of ‘Tom’ were on display and excelled in every area. 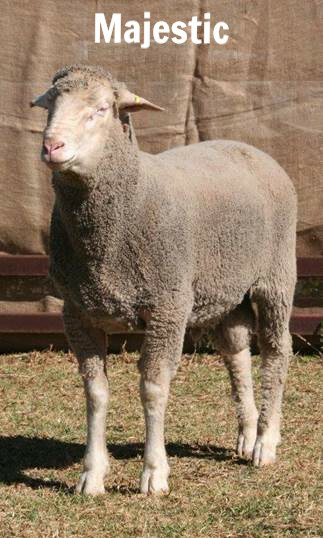 Macquarie Blood 2 Tooth Ram – La Pastoral Stud. Greg with a Macquarie Blood Ram. 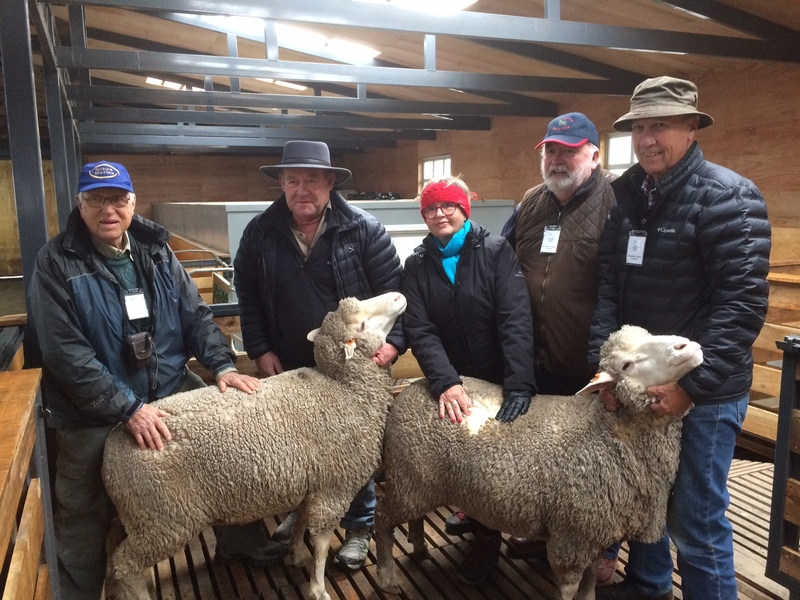 Macquarie Blood ewes with delgates Cameron McMaster South Africa, Robbie Blaine Wauldby Dohne Stud South Africa, Jude Eustice JAG Dohne Stud South Australia, Greg McCann, Gabriel Capurro La Pastoral Stud Uruguay. 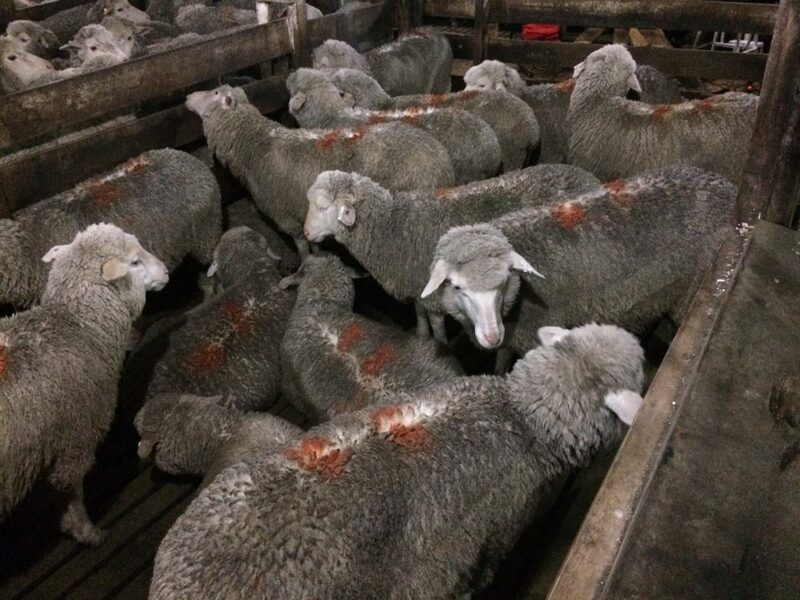 Macquarie Blood Ewes – 51/2 month old daughters of 7021. 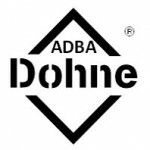 Macquarie Dohne Stud is in its 18th year and is an Australian foundation Stud, registered Flock no. 4. 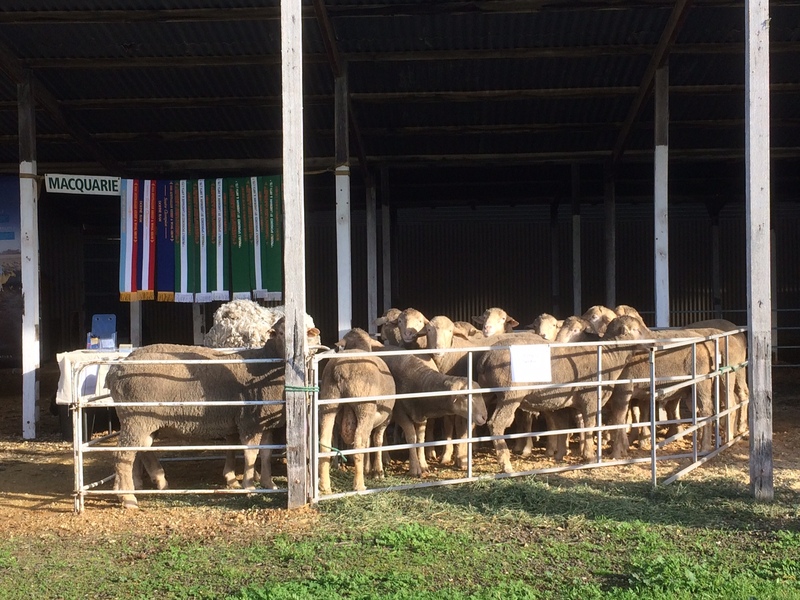 This will be our 15th annual ram sale, a milestone for an Australian Dohne stud. 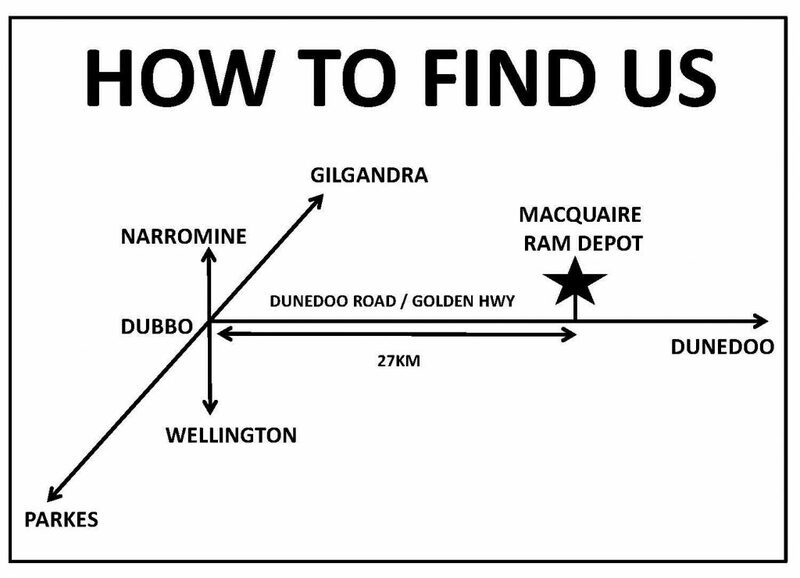 This year our sale will be at our new ram depot “Carinya” 247L Dunedoo Road / Golden Highway Ballimore NSW. 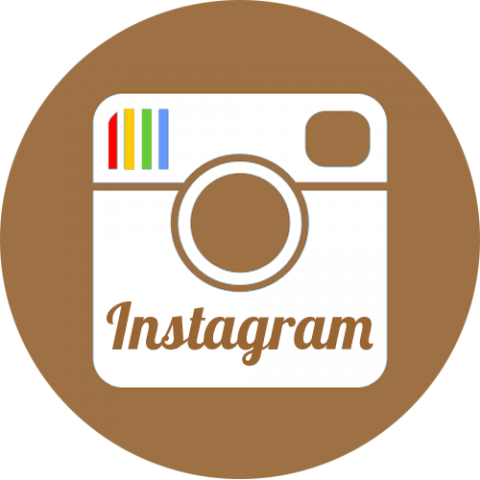 Accommodation is available at Ballimore Inn, contact number (02) 6886 5131. Local Dubbo Airport is 35km from our ram depot. Macquarie’s leading family. One of our oldest and most prepotent families. Characteristics are early maturing…..deep wide bodies with deep wide twists and shorter in the leg while carrying a well nourished 64s, long staple fleece. Macquarie’s oldest family. Characteristics are long & deep bodies, deep twist & carrying a long stapled 66s quality fleece. 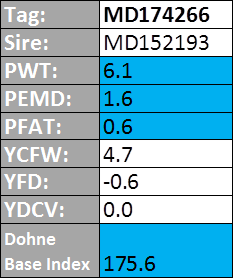 Family started with the purchase of a sire from Mt Alma Dohne Stud, SA. 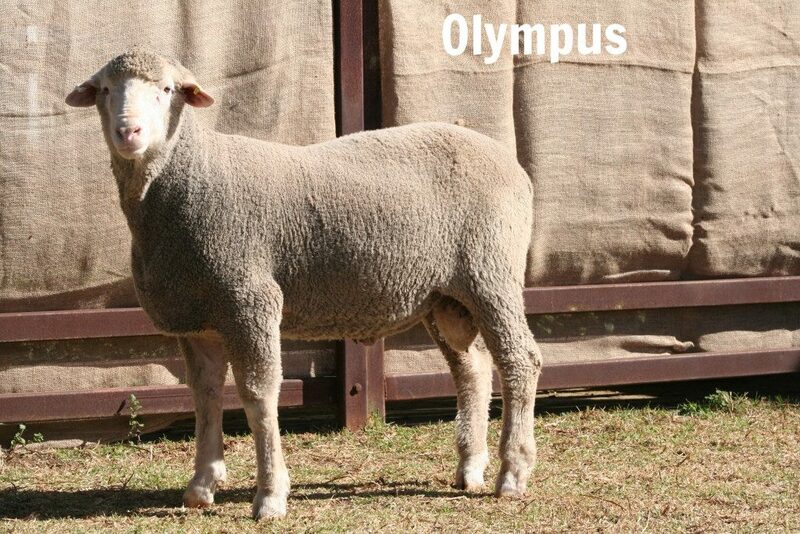 Characteristics are exceptional structure, length and depth of body carrying a stylish, well crimped, bright and soft handling 66’s quality fleece. This family is based on Uardry genetics. Characteristics are long bodies carrying medium fleece on a thick supple skin. 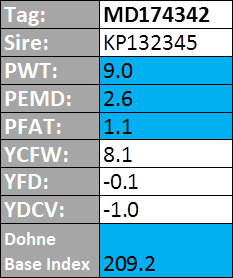 Consistency is key to our breeding decisions. 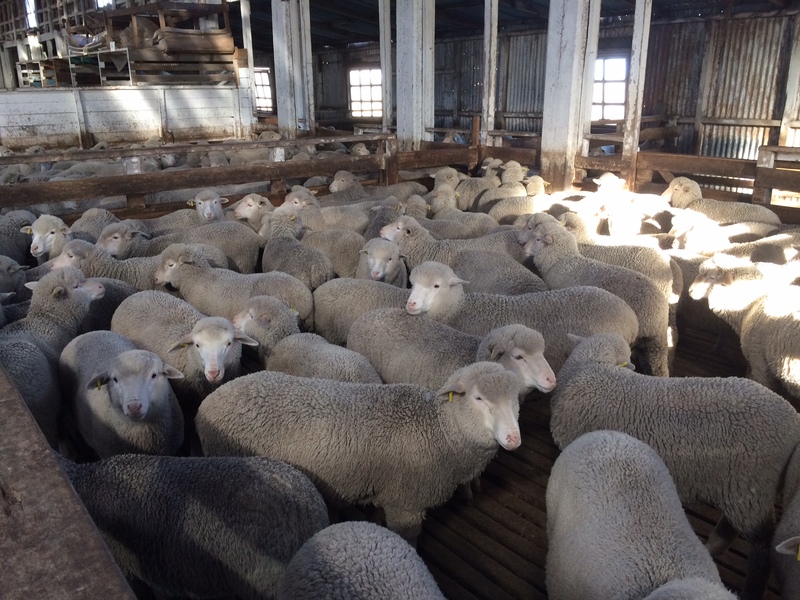 Look at the uniformity and consistency that the Macquarie families have bred into their renown flocks by continually stacking the pedigrees with genetics that are pure and that they are familiar with. The Sale rams are a tremendous draft of high quality genetics. They are well grown and in ideal working condition. I believe we have as much depth in the 2018 offering as any. 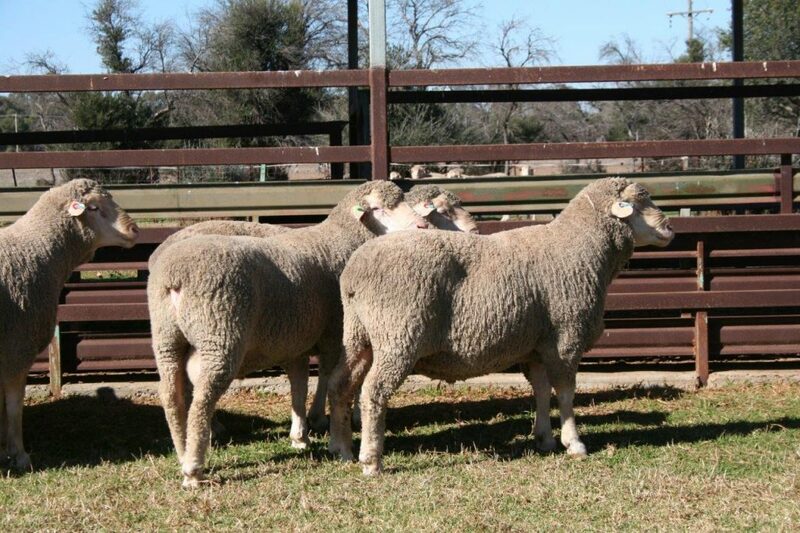 Grade rams will be available immediately after the Production Sale in 3 grades, $1200, $900 and $600.